Brian Seiler is a product of the Midwest, born and raised in Iowa, and residing in Illinois (5 years) and Ohio (3 years) before landing in Tennessee in the 1980’s. He cut his teeth on Chicago-style rhythm and blues and landed his first TN band position with a Tri-cities-based act known as Blues Junction. After several years, that band morphed into one of the many renderings of the Hoo Doos, a popular blues/rock-oriented band that performed extensively in the so-called Mountain Empire (NE TN, SW VA, +Western NC). When that band disbanded (ca. 2005) he was invited to work with the regionally-popular singer/songwriter, Annie Robinette, as the original drummer in her newly-formed band, and completed a roughly 5-year stint in that seat. After some free lance work, he teamed-up with some fine Kingsport, TN-based alt-country artists who had formed a band called Hundred Acres, which is still active in mainly festival-type settings, such as Bristol’s Rhythm & Roots Reunion, Racks by the Tracks (Kingsport), and multiple Octoberfest events. A side project emerged from Hundred Acres, with a 3-piece line-up also including Johnny Rasar (bass / vocals), and Jeff Lane (lead vocals / guitarist and songwriter) That was the genesis of The Real Life Heavies. Brian’s run with the Heavies has involved regional excursions to cities including Knoxville and Nashville TN, Greenville, SC, and many others. 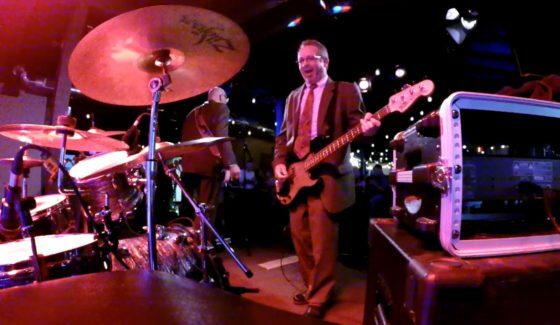 While specializing in performance of Jeff’s original compositions, Heavies’ shows also feature a number of “top shelf” covers. Brian laid-down the drum tracks on the Hundred Acres’ 2nd CD titled “Feels Good” and also on The Real Life Heavies’ 1st album called “If Breaking Bad Was a Band.” Over the years, Brian has also performed with a number of notable blues performers in the NE TN area, including Jimmy D, Samantha Gray, and “the Bluesman” (George Ferrell). 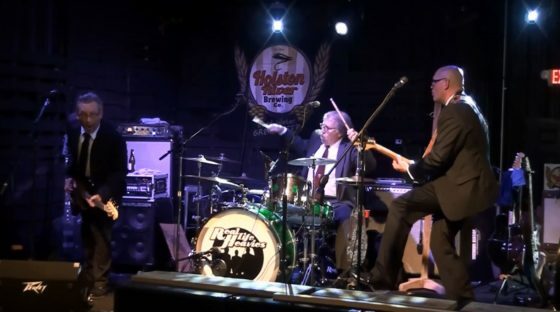 Besides composing and performing drum riffs, he has a hobby that consists of restoring classic drum kits (primarily Rogers brands from the 60’s and 70’s). He fancies himself as a “drum doctor” and actually holds a doctorate in Chemistry earned from the University of Illinois. He just recently completed a 30-year, industrial run based on using that degree! He is the proprietor of the Silverback Drum Shack and resides in Kingsport, TN with his lovely wife, Denise, and their puggle named Ruby. 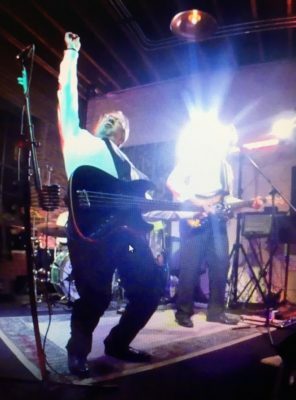 Johnny Nat Rasar has played bass since the early 80’s. Prior to bass he started playing drums in a gospel group at the age of thirteen and six strings in college bands. This has given Johnny Nat the foundation to keep the groove in any style of music he’s involved with. A native of Northeast Tennessee Johnny Nat has played in a wide variety bands from Metal, Country, Americana, Folk, Honky-tonk, Rock & Roll, and Blues. He’s recorded with Turning Point, Carbon Blue, Annie Robinette, and now with the Heavies. Along with the Heavies, Johnny Nat joins fellow musicians Jeff Lane and Brian Seiler performing with Hundred Acres. A Kingsport TN native, Jeff Lane has a serendipitous entry into the music industry. Singer, songwriter, and guitarist Jeffrey Allan Lane, mostly known as simply Jeff Lane grew up in Kingsport, Tennessee, where he began playing guitar fervently at the age of fourteen; fascinated by the invention of the “historic” MTV and the great rock guitar players of that era. From an even younger age, his musical roots were watered by his mother’s record collection that was packed full of greats like Bob Seger & the Silver Bullet Band, The Eagles, Elton John, Jim Croce, Elvis, The Beatles and the Commodores. Sneaking over to a neighbor’s house he learned about hot bands of the era such as AC/DC, Pat Benetar, and REO Speedwagon. After forming a few high school rock bands, life took Jeff out of the public pursuit of his dream. For the next 20 years, he kept his songwriting pursuit private all while picking out the biggest influences in each generation to add to his sound. With a major economical turn of events in 2010, and the loss of Jeff’s business and his farm, an unexpected door opened that started his long-awaited musical journey. That winter collaboration began with Matthew Oakes that would quickly lead to a series of phone calls from guitarist/producer Quentin Horton wanting to record the project known as Hundred Acres. While in the studio, Jeff Lane and Hundred Acres was officially joined by Horton on lead guitar, as well as guest tracks from fiddle player Kevin Jackson and former Allison Krause & Union Station guitarist Tim Stafford who was touring with Blue Highway as an award-winning guitarist. The result was Jeff’s first record “Where the Buffalo Roam” which he debuted on his 40th birthday in 2011. The energy from this Freshman album quickly resulted in a second record exactly one year later called “Feels Good”. At the urging of Horton, Lane then embarked on a journey to “find himself” musically by collaborating and sharing the stage with songwriter in other regions. His soulful and story-telling style of songwriting, along with his tasteful guitar work quickly acquired notoriety as someone wanted in “good” rounds, and opened doors further away and into Nashville where he regularly appears at venues such as the world-famous Commodore. With the growth achieved by constant appearances as a songwriter, Lane has become a powerhouse that commands most rooms, bringing audiences to full attention with the sound of his soulful voice of heavily bluesy-style guitar licks. Along with many indie radio appearances, Jeff has performed festivals and intimate songwriter rounds with an A-list of performers over the past 6 years including Chris Knight, Kim Williams, Tim Stafford, Bobby Starnes, Derek Johnson, Benjy Gaither, Steve Williams, Aaron Barker, Keith Anderson, Lance Miller, Doug Johnson, Bobby Tomberlin, Mark Steven Jones, Sean Gassaway, Aaron Tracy, Randy Finchum, Lara Landon, Emily Minor, Annie Robinette, Justin Mychals, Karen Reynolds, Mason Reed, Robby Hopkins, Mo Pitney, Bill LaBounty, Carrie Tillis, Willy “Big Eyes” Smith, Folk Soul Revival, Holly Williams, Hilary Williams, Bill DiLuigi, Lara Landon, Lanndon Lingerfelt, Johnathan Dean, Marc-Alan Barnette, PJ Steelman, Scott Southworth, Heino Meoller, Morgan Alexander, Judy Paster and many more. Jeff has toured with the Love, Lies & Lyrics songwriter tour as well as the Fabulous Flying J’s Song-Teller Tour. 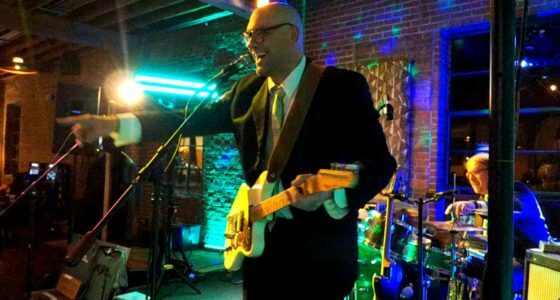 Although Jeff spends a great deal of time working the singer-songwriter circuit, he developed the band Real Life Heavies as his “alter-ego” and a way to dive back into his early rock roots and passion for guitar playing. After the formation of the Real Life Heavies in 2015, the band stayed relatively quiet and hidden away in a basement known as “Heavy Headquarters” for nearly 2 years until they emerged with an extremely tight show and a full-length album or original material, crossing over between soul and rock with an undercover bluesy flavor. The album reflects what an onlooker was heard saying at their very first public appearance in Knoxville, TN. The statement was “If Breaking Bad Was a Band” and it was perfect. When Jeff and the guys put on their black suits and ties you can be sure you’re going to see something worth seeing!